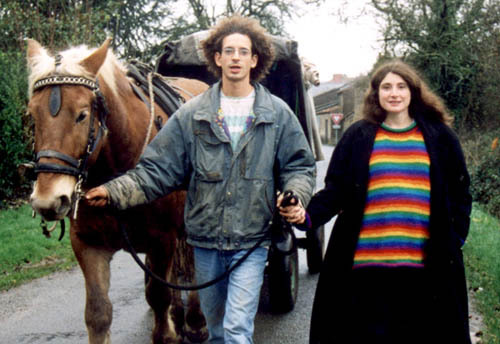 Jelenetfotó 1.1In June 2003, Amit Weisberger, his wife Aude, and their young daughter Annabelle set out on a 6000 – km journey to Jerusalem in a caravan drawn by their horse. This travelling is for Amit a symbolic act for Peace and against the occupation of the Palestinian territories. But can somebody bring peace without initially making peace with himself? With the current of the meetings, Aude and Amit learn, with the wandering life, to manage with nothing, with going towards the others simply... Account of adventure and trip notebook, A Caravan for Peace tells the two years tour which leads this small family from France to Israel. A filmhez még nem történt hozzászólás.